With snowmaking well underway since last night, the official countdown to opening date is finally on! November 23, skiers and riders of all calibres can find fun and inspiration on a few trails and discover – or rediscover ? Tremblant. The mountain’s longest trail, riders admire splendid scenery on an easy 6.1 km descent to the South Side. Perfect for capturing your youngest tribe member’s first turns, the Nansen ends next to the Fairmont Tremblant where $6M was recently invested to refresh its public areas and restaurants. 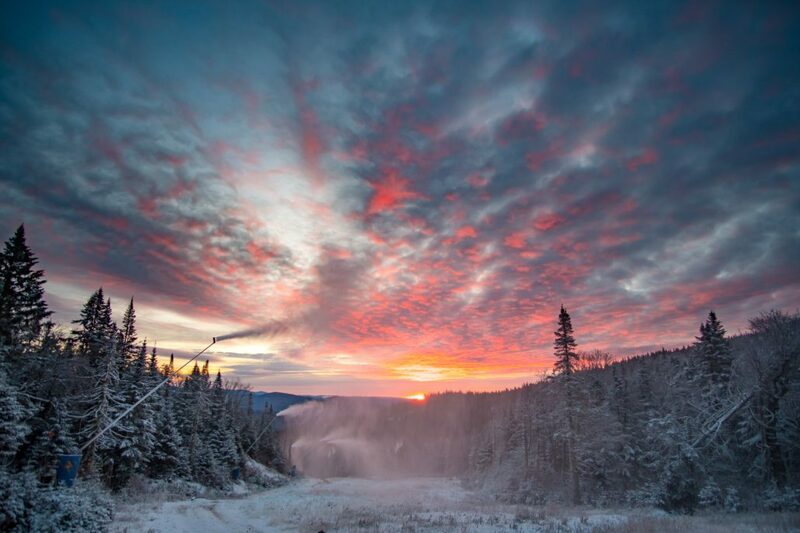 Named after two Tremblant ambassador athletes, the trails are located on the South and North Sides respectively. A challenge to be approached with enthusiasm during an Olympic year when everything seems possible. With glades, play modules and animal sculptures, this learning zone is designed to heighten Mountain Safety Code awareness while providing park users with sound slide tips. Reached via the Nansen, it appeals to beginners both tall and small. Covered in winter corduroy or springtime moguls, this North Side trail’s impressive steeps are always appreciated by adrenaline gurus. On your edges all! A well-kept secret, this trail leads riders to Old Tremblant’s hotels, boutiques and restaurants, skis in hand. It ends by the entrance to Quartier Tremblant – Base Camp, steps away from the parking area. 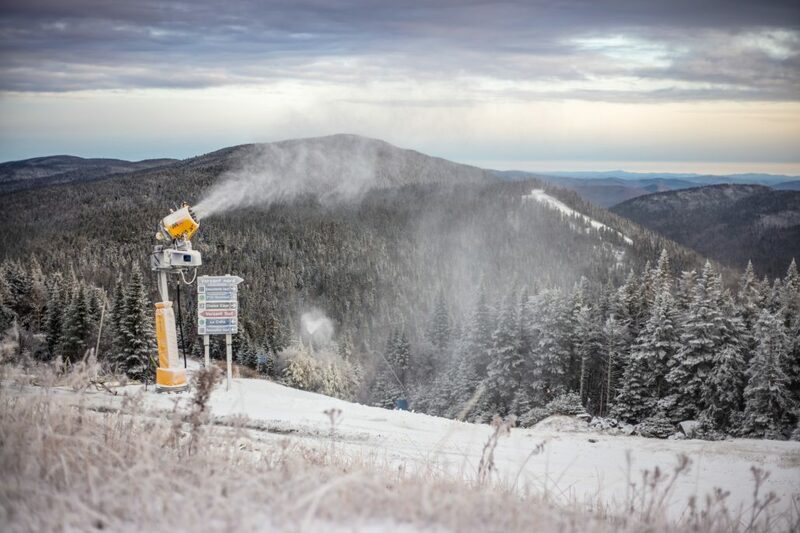 Named after Tremblant founder Joe Ryan’s favourite horse, this trail is poised to make history again this January 18 to 21, when the world elite contends for the FIS Freestyle Ski World Cup. This Versant Soleil trail trio leads to Trappeur Cabin where stews, soups and snacks are savoured by a crackling fire. Come nightfall, it’s also the Snowshoe & Fondue Package’s foodie stopover. All three also lead to Casino de Mont-Tremblant and its restaurant, l’Altitude. This is the trail where people stop to admire the pedestrian village’s colourful rooftops. Afterwards, choose to ride up the lift again, sidle up to an outdoor firepit or slip into one of the nearby bars, cafes or restaurants. All feelings that surge up when riding these accurately named Versant Edge trails! Awesome when enjoyed with a local guide who is sure to find you some track-free snow and share some great tips too. 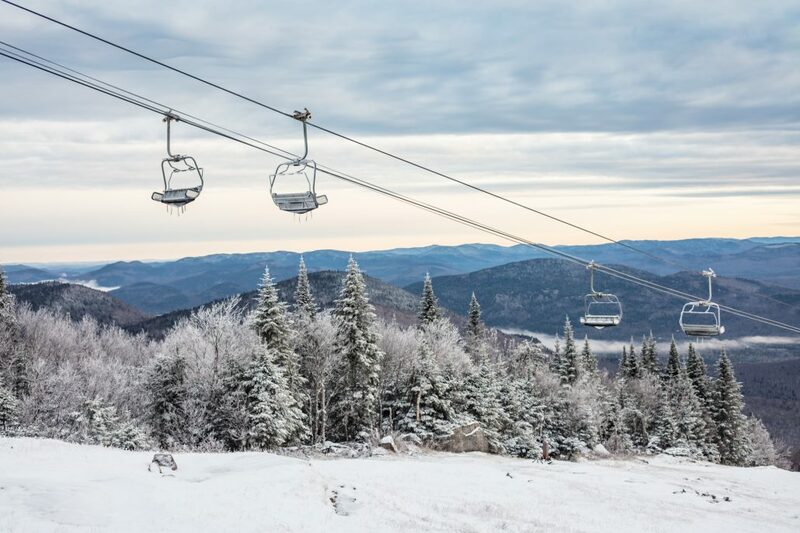 Equal to the adrenaline boost derived from Tremblant’s countless winter events, including le 24h Tremblant or its New Year Celebrations, this trail delivers untold thrills to anyone who dares take up the challenge. For expert riders! A gentle slope is why these trails are so perfect for trying out an ever more popular slide sport ? alpine ski touring. On skis fitted with climbing skins and special bindings that release the heel, going for the summit is made easy. Why not work on your technique or give it a go at this year’s Festival Rando Alpine, February 2 ? 4. Countless other Ways to Enjoy the Best of Winter! Snowshoeing, dog-sledding, ice fishing, ice climbing, fat biking, skating, snow tubing ? there are so many ways to enjoy Tremblant! Why not spend a few days exploring everything it has to offer? By reserving your Winter Vacation before November 30, receive up to 25% off at resort lodging establishments enjoy lodging privileges as well, like free first tracks 45 minutes before the lifts officially open, complimentary skate loans for the lit skating loop and free admission to sliding evenings.